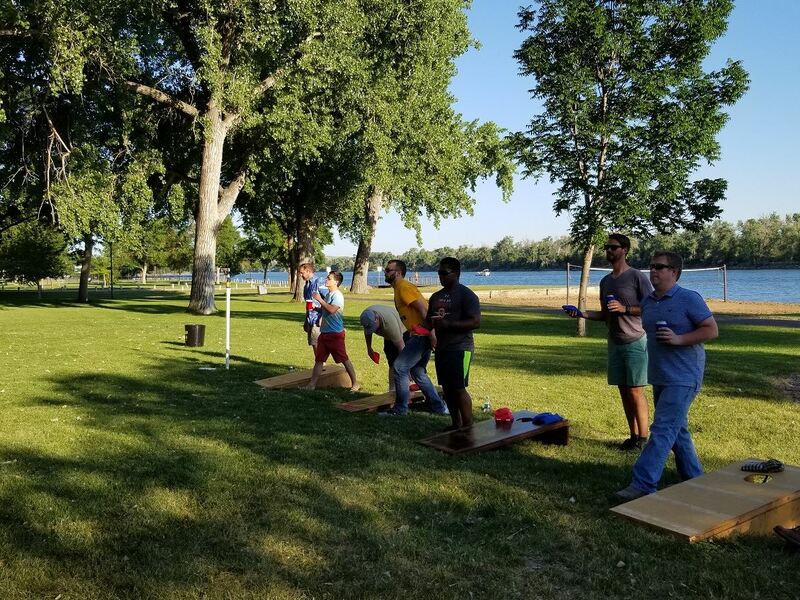 On Tuesday June 26th, the SDES Central Chapter hosted our 2nd Annual Picnic in the Park. The event allowed members and new engineers to the area a chance to network in a relaxed atmosphere. The turnout was great - we received 35 RSVP’s, many thanks to all of those that attended! 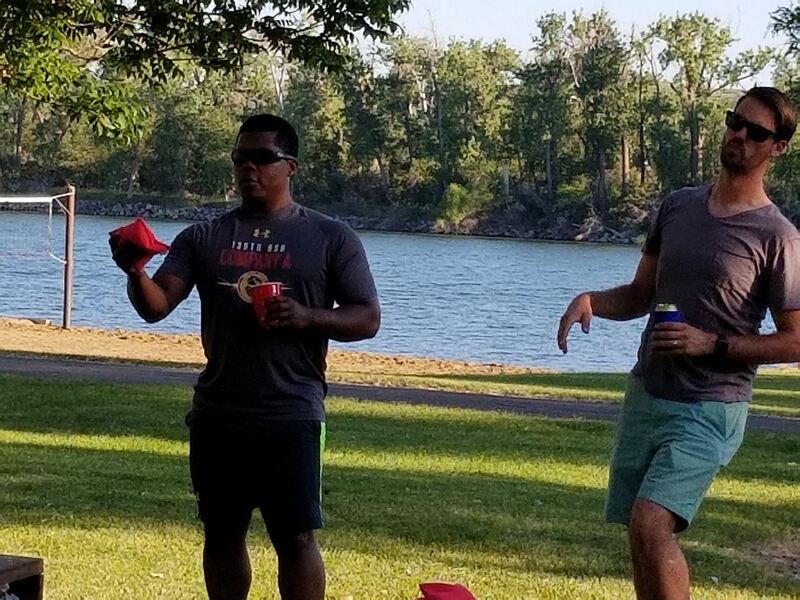 An enjoyable evening was had by all (we hope anyway) while eating, enjoying a cold beverage of choice, playing yard games or simply chatting with other attendees. 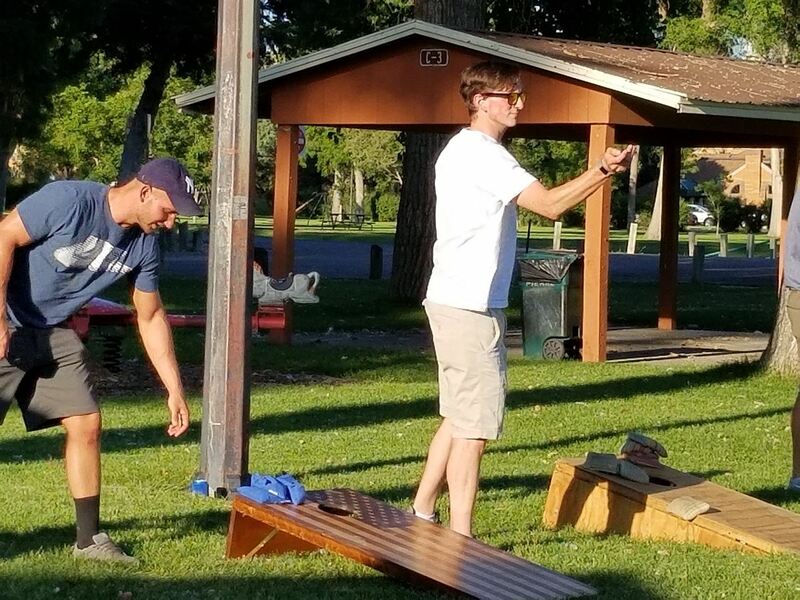 The post-dinner main event consisted of a single-elimination corn-hole tournament. We’d like to congratulate the winning team of Drew Huisken and Roderick McRae. Drew and Roderick each received $25 gift cards to the Bill of Rights Brewery as their prize! 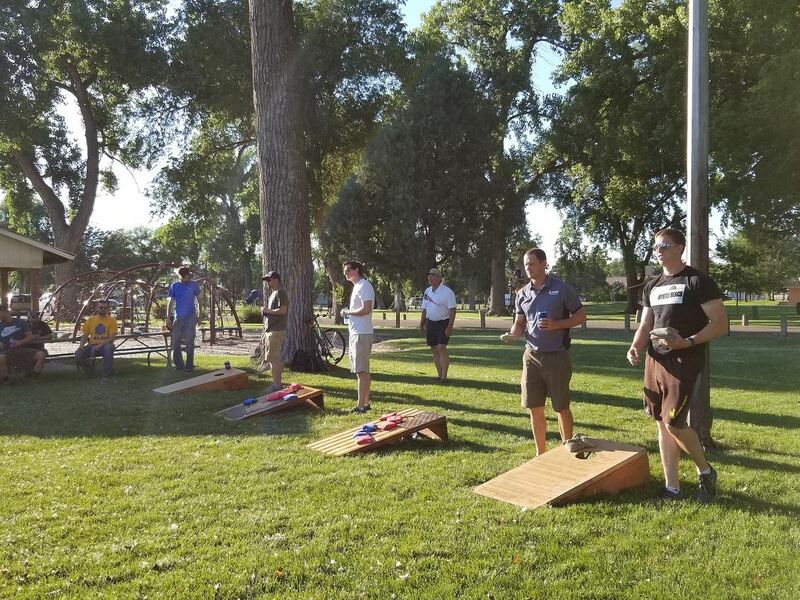 The SDES will be hosting another Picnic in August and would love to see you there. Riley Calhoon, Winner, SD. He will be attending SDSU majoring in Mechanical engineering. Evan Rumrill, Pierre, SD. He will be attending SDSU majoring in Civil Engineering. Chloe Jungwirth, Mobridge, SD. She will be attending SDSMT majoring in Geological Engineering. Drew Huisken, EIT, was honored as the Central Chapter 2017 Young Engineer of the Year. 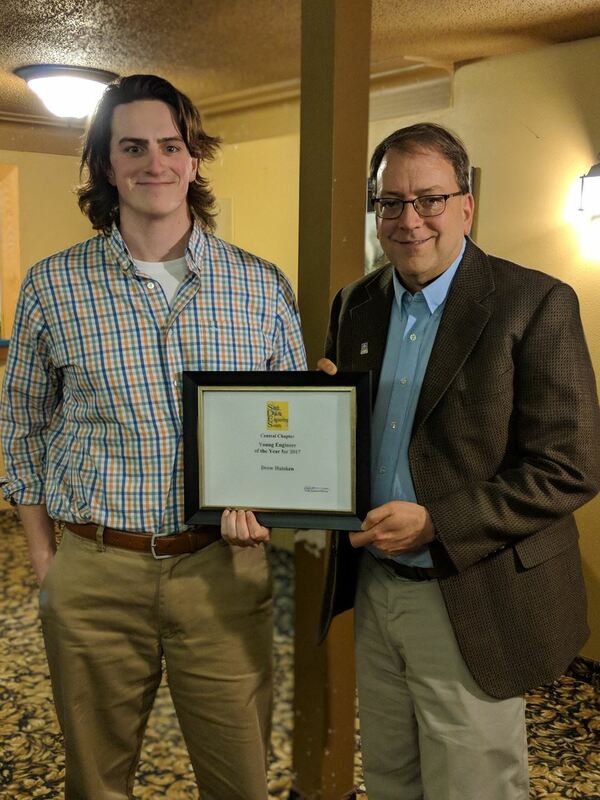 Drew Huisken (left in photo) received the South Dakota Engineering Society’s Young Engineer of the Year Award at the Central Chapter’s Engineering Week Banquet. This award is established to recognize young SDES members who have made outstanding contributions to the engineering profession and their communities during the early years of their careers. Drew is an engineer with the Department of Environment and Natural Resources. Drew will now advance to the state competition. Congratulations to Clyde Jundt, a lifetime member of the SDES Central Chapter!! PIERRE, S.D. – Clyde Jundt from Pierre and Mark Knight from Aberdeen have been chosen for induction into the South Dakota Transportation Hall of Honor for 2017. The purpose of the Transportation Hall of Honor is to recognize those who have made a lasting, valuable or unique contribution to South Dakota’s air, highway or rail transportation system. The South Dakota Transportation Hall of Honor dates back to 1972 and now includes 88 inductees. Mark Knight is the former vice-president at Foothills Contracting, Inc. of Aberdeen, a well-known and respected grading contractor for South Dakota and surrounding states. Mark spent 37 years in the grading business and has been a tireless advocate for the highway and transportation industry in South Dakota. He has served on many boards and committees both locally and nationally, including a term as AGC of America President, the first South Dakotan to ever achieve this prestigious level of leadership. Clyde Jundt is a former South Dakota Department of Transportation employee who retired in 1994 after 37 years. Clyde graduated from South Dakota School of Mines and Technology and served in the U.S. Army. During his time with the department he was passionate about providing practical engineering for structures to effectively link transportation corridors across the state. He was also one of the principal designers of the famous Keystone Wye and “pigtail” bridges on U.S. Highway 16 in the Black Hills. Banquets to honor both Jundt and Knight will be announced at a later date. For more information, contact the Department of Transportation at 605-773-3265.